Looking for a deal for Myrtle Beach golf? Perhaps you’ve heard of a Myrtle Beach golf discount card? Maybe the best Myrtle Beach discount card isn’t actually a card! That’s right – many people have looked for the best Myrtle Beach discount card only to realize that many times a card isn’t necessary. Some of the best discounts on Myrtle Beach golf that you can get are by booking your Myrtle Beach golf package with Myrtle Beach Golf Authority. That’s right! We offer discounts and deals that most individuals can’t get on their own. So, for the best Myrtle Beach golf discount card, look no further than our golf packages that we can build for you. A popular Myrtle Beach golf discount card is the Primetimes Signature card. This Myrtle Beach golf discount card is offered by The Founders group and features access to 22 local Myrtle Beach golf courses. You can save up to 70% on your rounds of golf by using this Myrtle Beach golf discount card. 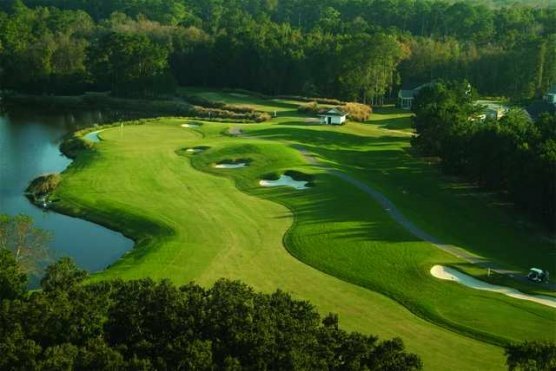 A couple of the courses that are offered on this program are: River Hills, Long Bay, World Tour, and TPC Myrtle Beach are a few of the 22 courses that are available when you use this Myrtle Beach golf discount card. You can book online (72 hours in advance) and by phone (48 hours in advance) with this Myrtle Beach golf discount card. Prices start at $225 for the Primetimes Signature card. Another popular Myrtle Beach golf discount card is the Myrtle Beach golf passport. This Myrtle Beach golf discount card comes in two options – resident membership and snowbird (non-resident) membership. To get the Myrtle Beach golf discount card for residents, you must be a resident of the local area to qualify (NC/SC). This Myrtle Beach golf discount card boasts more courses to choose from (they say 80 courses participate), and also offers discounts in local tournaments and dining. This Myrtle Beach golf discount card will run you around $49.00 for the year and tee times can be booked 48 hours in advance. While Myrtle Beach golf discount cards are abundant in the Grand Strand, remember that your biggest discount can be found at Myrtle Beach Golf Authority and our packages. Call one of our golf vacation specialists today and get started planning your next golf getaway!